It’s been a year since low-dose codeine preparations such as Nurofen Plus, Mersyndol – and generics of Panadeine, the branded product which was discontinued by GSK – became Prescription Only, upscheduled from the Pharmacist Only status they had enjoyed until 1 February 2018. 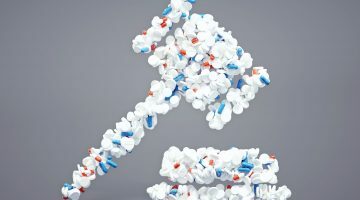 Before the upschedule, pharmacists, police and patients alike had significant concerns about fallout from the decision. A number of stakeholders warned that people seeking pain relief – whether for genuine reasons or due to abuse or misuse of low-dose codeine – would become abusive, or steal the products if they could not get scripts. Several individual pharmacists spoke to mainstream media to warn that people would be left suffering unnecessarily, particularly those who lived in rural and regional areas. Others warned that scripts for stronger opioids would surge and addiction services could be overwhelmed. Were they right? Yes and no. Some of the predictions came true, with access to moderate pain relief becoming more difficult for many. Other predictions did not. Pene Wood, Clinical Pharmacy Lecturer at La Trobe University and Quality Use of Medicine Lead at the Western Victoria PHN, said that in several respects, the codeine upschedule was “the Y2K of the medical world”. “It didn’t really come to much,” she told the AJP. “A lot of pharmacists are saying they haven’t really had much backlash. “A lot of it was perception. One pharmacist said that one patient had been on codeine for years and wouldn’t swap, but then when [OTC] codeine went away, they had to. “They tried the paracetamol-ibuprofen combination and amazingly, found it managed the pain better. 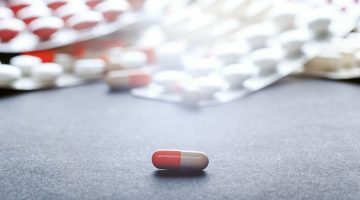 Before the upschedule, the Pharmacy Guild and Pharmaceutical Society of Australia promoted a “prescription except when” model, which would see pharmacists able to dispense low-dose codeine under certain circumstances when patients could not access a GP or a health professional such as a dentist. In NSW it attracted significant support, with state Deputy Premier and Nationals Leader John Barilaro urging state health ministers to consider its implementation – but it was not taken up by any state government before 1 February 2018. Yet individual pharmacists and representative bodies alike are still hopeful that pharmacists may one day have more pain management options than those currently available to them. Pharmacy Guild national president George Tambassis told the AJP that “everything’s on the table” when it comes to the medicines, though it’s not a 7CPA issue. “That particular approach to allowing low-dose codeine to actually be dispensed by pharmacists is actually a state government issue, it’s not actually in the remit of the Federal government,” he said. “It doesn’t mean we’re not going to be pursuing it. We’re pursuing that through the state governments. 100% we’re still pursuing it. “There’s a COAG Health Ministers Council that we could approach as well, because the COAG Health Ministers Council is looking at the moment to harmonise pharmacist vaccinations across Australia. “So even though again that issue is a state issue, you’d like to get the Feds on board because they bring all those health ministers together through this council COAG regular meeting cycle. Calling the upschedule a “ridiculous decision,” Mr Tambassis said that “of course” the Guild is still working to address it. PSA president Dr Chris Freeman also said there were possibilities of change in the future… though he advises concentrating not just on codeine. “It would be foolish of us to rule anything out,” he said. “But we do need to turn our attention to an alternative to codeine, and we’re looking at a mechanism where pharmacists could supply [stronger pain relief than currently available OTC] where appropriate to a patient. “That could still well be codeine. But we need to think about more than just low dose codeine itself. “Another thing the TGA is currently working on is Appendix M. This is a way of downscheduling medicines, but with additional controls. Judy Plunkett, proprietor of Plunkett’s TerryWhite Chemmart in Port Macquarie, regional NSW, told the AJP that she hopes for a return to “common sense” when it comes to managing moderate to strong pain which does not require a strong opioid. “I strongly look forward to the day when governments, state and federal together, get real time monitoring, because that is the solution – as we tried to tell everybody 12 months ago,” she said, saying she was speaking in her capacity as a regional pharmacist rather than a Guild representative. “That would solve all the issues. Everyone would be monitored, have their pain management bank account and there’d be help for people with addiction issues,” she said. However, while a number of jurisdictions have implemented programs – notably Victoria, where SafeScript went live in the Western Victoria PHN in October 2018, ahead of a statewide rollout this year – any role real time monitoring could play in helping facilitate such a system would be a long way away. A national system is yet to be implemented, with Fred IT winning the tender to lead the system in October 2018. NSW remains without a plan. “NSW is the largest state, and we’ve had nothing [from the state government] other than a comment saying, ‘We want to go with a national approach’,” said Ms Plunkett. “Meanwhile, Greg Hunt says he looks forward to when the state governments put in their preferred options and programs. AJP spoke to the Chemical Diversion Desk (CDD), a unit within the Drug and Serious Crime Group, State Crime Command at Queensland Police, to learn whether the upschedule was associated with any increase in crime against pharmacies – whether potential thieves were seeking low-dose codeine or stronger preparations. The CDD said that while it is unable to determine the drivers behind individual offences, “the statistics provided indicate there has been no significant increase in offences against pharmacies in Queensland since February 2018 as compared to the same period in 2017”. “After a review of the statistical data, there appears to be no significant increase in the theft of prescription drugs since the implementation of schedule change of low-dose codeine from Pharmacist Only in Queensland,” the CDD said. “In the months after the implementation, there were some concerns from various pharmacies of persons offering the pharmacist to purchase codeine for a higher price, up to $500 a box. “Fortunately, this was initially in the first few months and has appeared to have ceased. “The offer of purchasing the product at a higher ‘black market’ price was certainly something that we observed when pseudoephedrine was restricted from purchase over the counter and ‘box shopping’ became prevalent, along with chemist break and enters. What about abuse and threats? As early as May 2018, the Victorian Pharmacy Authority reported on the state of aggressive or abusive confrontations in pharmacy, where people seeking codeine were denied the medicines. The VPA said that there had not been any notable uptick in incidents – even where patients were abusing or misusing the painkillers. “The main complaint was the price increase of certain products,” the VPA said at the time. 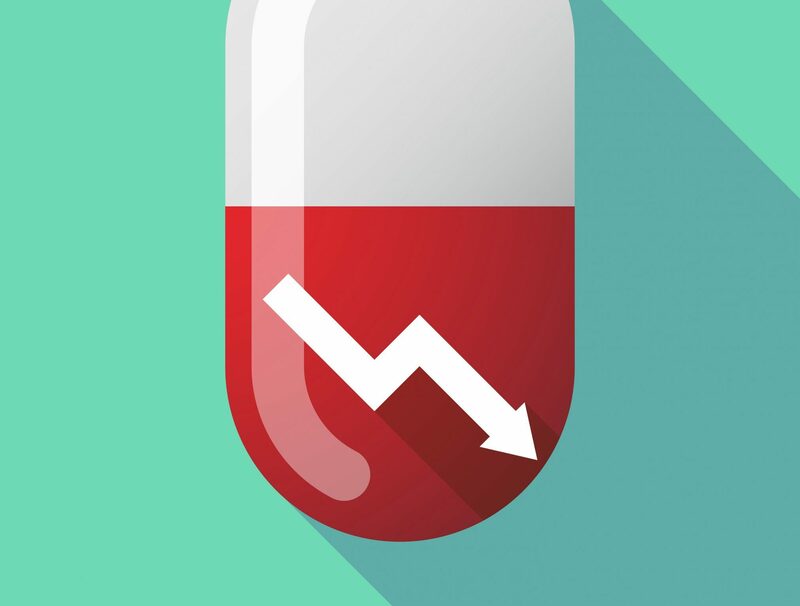 In late December, Melbourne community pharmacy owner Jarrod McMaugh said that in his experience, the number of people who have responded poorly to the change has been relatively low. “There have been some reported instances of people becoming belligerent and even violent, but these are a long way from being common,” he said. “The most common conversation I am having is around the lack of autonomy. Many people are disappointed that the ability to self-select a medication that has been effective for their pain has been taken away. “There is some resentment towards health professionals for making them feel like they are seeking these medications inappropriately (pharmacists are definitely a part of this group), but more often, people are telling me that this hasn’t become a real barrier to access, just a delay that costs more time and money. How are patients treating their pain? Pitcher Partners has joined with researchers from Griffith University to explore how the upschedule has played out: Griffith’s Simar Tiwana, who is heading this project, is examining a number of consequences, including changes to pharmacy practice. While Mr Tiwana is yet to finalise his research, he told the AJP that first impressions and preliminary findings of the data show that there are already some problems with relying on paracetamol-ibuprofen combinations as the “stronger pain” solution still available from pharmacists without prescription. “Preliminary observation shows the increase in common OTC medications like paracetamol, ibuprofen or combination products. Based on the small number of survey responses, there are mixed responses from practising pharmacists,” he said. “A significant number of patients are considering the OTC alternatives like paracetamol or ibuprofen or combination of both or natural products. “This seems to be more problematic approach by the pharmacists as they are worried about the long-term complications of Ibuprofen with other meds like cardiovascular or asthmatic medications. 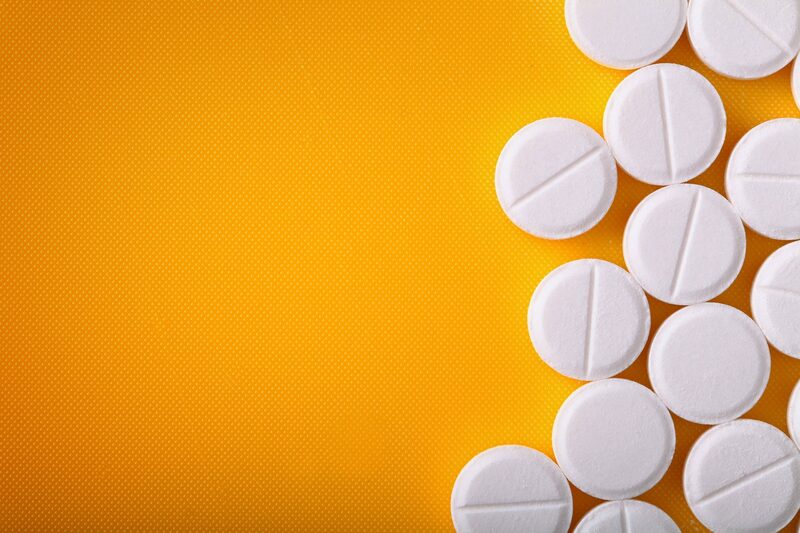 “A significant number of pharmacists have noted that paracetamol alone, ibuprofen alone or the combination is often not efficient in treating pain for their patients. As the use for stronger NSAID use increases, such as Difclofenac, pharmacists are concerned about the associated risks, he said. A number of stakeholders said that the predicted upswing in scripts for stronger codeine preparations and other opioids was accurate. “In my area of practice I have not seen a significant swing to the codeine based products since upscheduling, but I have certainly seen an upswing in the use of Targin, Endone and Tramadol,” said Karalyn Huxhagen, a community, consultant and locum pharmacist who has won awards in pain management. Siwar Tiwana said that while patients are satisfied with pharmacists’ approach for OTC medicines and referrals, “they are getting scripts from doctors for managing their chronic pain”. Jarrod McMaugh highlighted that immediately after the upschedule, there was difficulty in accessing these medicines due to a reduction in production and deletion of brands. “The ability to access prescriptions does not seem to have been an issue for people who have requested them, with prescribing and PBS data showing no reduction in the amount of prescriptions being written for medicines with low to medium dose codeine,” he said. Getting scripts is dependent on patients being able to access doctors. “In my pharmacy I’ve had stressful moments with people with pain that’s not being controlled with paracetamol and ibuprofen, and they cannot get a doctor’s appointment,” said Judy Plunkett. She told of a 15-year-old patient who presented at the pharmacy in “insane pain” after being discharged following foot surgery with poorly managed pain. “I could give nothing, and the medical centre was fully booked out,” Ms Plunkett said. Patients who would have previously been managed in pharmacy are causing bottlenecks for all patients at local GP surgeries, she said. “There’s definitely been an increase in unnecessary pain in the community. Jarrod McMaugh said that there was a brief increase in the number of people he spoke to who were prepared to consider harm minimisation options. “I have MATOD clients who entered the program after discussions about codeine use, but the overall numbers are low compared to the number of people who were purchasing low dose without prescription,” he said. Karalyn Huxhagen said that she still sees patients and GPs struggling to access appropriate pain services. “There are a variety of pain services available but in my area of practice most of these require patients to travel,” she said. “Sadly every pain service has a different evaluation system and patients complain loudly that they have to travel large distances for someone to do very little except push and prod and tell them to come back in three months’ time when they can enrol in a program. “The distances they travel for these interventions are enormous and in my state, Queensland Health is being very frugal with patient travel allowances. She expressed concern that GPs are not adequately informed as to what each service can provide and which type of patients are the most appropriate to refer to these program. However, “I have seen an increase in patients becoming aware of the need to improve their own conditioning and strength and I am thinking that the gym and exercise industry is making some significant inroads into the pain management space,” she said. Jarrod McMaugh said that the pain landscape looks “unchanged” from this time last year. “The issue was a reliance on medicines to treat chronic pain,” he said. “The outcome should be a move away from medicines and a move towards interventions that have strong evidence for improving quality of life, with a parallel increase in funding and capacity for treatment of addiction where this has occurred. “Overall, what we have had is an attempt to reduce access to medicines which doesn’t seem to have achieved a reduction; an increase in utilisation of primary healthcare (with associated costs); not a lot of movement in monitoring capacity for dangerous use of medicines that can cause addiction; and very little investment in areas that would actually take pressure off opioid use (increased availability of pain specialists, investment in allied health funding that removes limits where evidence exists for improved outcomes). “If we are serious about reducing harms from low dose codeine, then this can’t be the strategy we rely on. “In all areas of health and regulation, we know that supply reduction fails to achieve sustainable outcomes. We have to focus on demand reduction—why do people want to access low-dose codeine? What would reduce this demand? But overall, the transition itself went well – so well, in fact, that this indicates it wasn’t needed in the first place, he said. “If there really was a crisis, then this change would have precipitated it,” he told the AJP.